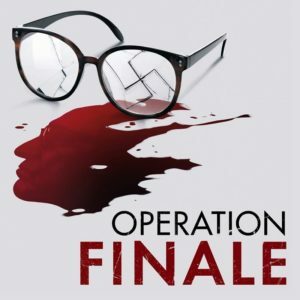 Join us for a viewing of Operation Finale, and discussion of the film with Rabbi Noah Chertkoff. Operation Finale is based on a remarkable true story, starring Oscar Isaac and Ben Kingsley. Join us on Sunday, March 10th at 1:00pm as we welcome guest speaker and former Mossad agent, Avner Avraham, to Congregation Shalom. Avraham served as a key consultant on this film which is based on his discovery of the original documents surrounding Adolf Eichmann’s capture and trial. He was moved to share his findings with a wider audience, and curated the world-famous and headline-making museum exhibit “Operation Finale: The Capture and Trial of Adolf Eichmann” and produced an accompanying documentary.